Polymer gravure, etching and photo-etching with wiping printed from three copper plates in three different shades of black with linseed oil, a fine, fresh impression of the only state, the full sheet, printed on 410gsm Somerset UK Textured White paper, with margins, hand-signed and numbered in pencil by the artist, executed in an edition of 50 examples (there are also 10 numbered Artist Proofs, 3 numbered Printers Proofs, 3 numbered World House Editions proofs, 1 Bon a Tirer proof and 1 Cancellation Proof), printed by Peter Kosowicz of Thumbprint Editions, London, published by World House Editions, Middlebury, Connecticut, in fine condition, unframed. The plate size of this work is 29 ½ x 30 inches (75 x 75.9 cm). 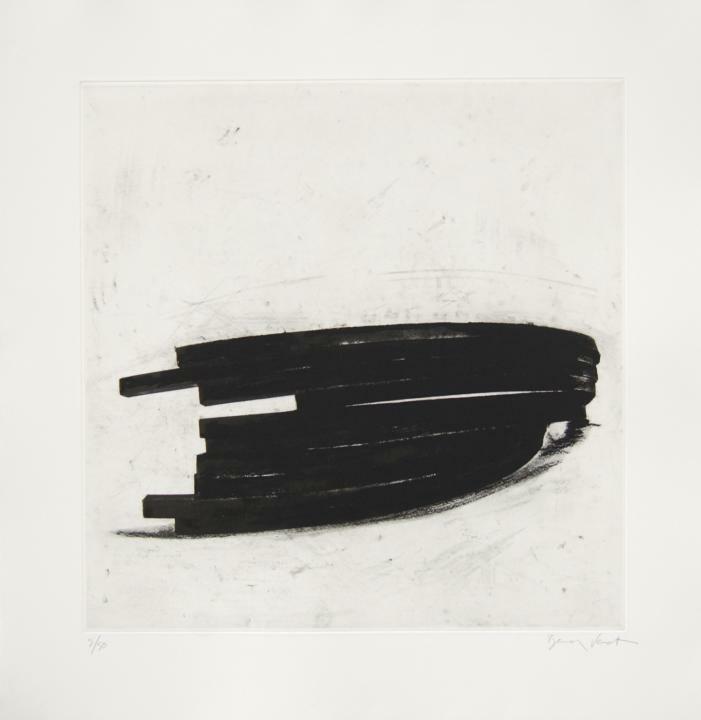 The Effondrement: Arcs prints mark the first collaboration between Bernar Venet and World House Editions.